Looking for hotels in Roanoke, VA with Blue Ridge Mountain views? 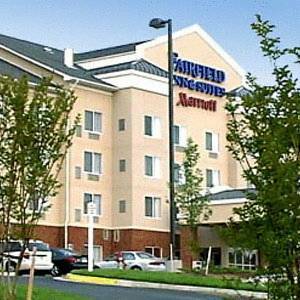 Then choose our Fairfield Inn & Suites Roanoke Hollins hotel on I-81 with easy access to area businesses and the Blue Ridge Parkway. Our Roanoke, VA hotel offers lodging near Hollins University, Carvins Cove Reservoir, and the Appalachian Trail with free breakfast, WiFi, outdoor pool, and meeting space. Our quiet and peaceful setting is ideal for those who want to get closer to nature while staying just 5 miles from downtown Roanoke and the Roanoke Blacksburg Regional Airport. Take advantage of nearby walking trails where you can enjoy the mountain air, or explore the region by visiting Mill Mountain Zoo and Star. Guests love our Roanoke hotels close proximity to Hollywoods Restaurant, Harris Corporation, Coordinated Services Management, Wells Fargo, Pepsi Co, Advance Auto, Kroger, and Double Envelope. Make your visit to Hollins U, Roanoke College, or Virginia Tech easy and affordable by staying at our Marriott Roanoke hotel along I-81.